BWC is asking you to keep a close watch on your mailbox in July. That’s because we’re sending checks as part of the $1.5 billion rebate we announced in the spring. The rebate, BWC's fourth since 2013 and the agency's largest in 20 years, is possible due to healthy investment income, falling claims and prudent fiscal management. The rebate brings workers’ comp savings for all Ohio employers to $8 billion since 2011. Your check should arrive by early August in a white envelope labeled “important documents enclosed.” Get them cashed quickly because they expire in 90 days. While the money is yours to spend as you wish, we encourage employers to invest in workplace safety measures that prevent injuries and reduce workers’ comp costs. Employers that participate in the Group-Retrospective Rating Program will receive checks in the Fall. An important reminder to private employers: don’t forget to “true-up” by Aug. 15. If you need a reminder, “true-up” means to report your actual payroll for the policy year that just ended on June 30 and reconcile any difference in premium paid. This important action allows BWC to calculate your premium accurately. Even if your payroll for the year matches the estimate we provided, or you had zero payroll, you must complete a true-up report. It’s also critically important to maintaining your policy and your participation in your current rating plan or discount programs. BWC will remove employers from their current rating plan or discount program if we do not receive a payroll true-up and any additional premium owed by the due date. The quickest and easiest way to true-up is online with a BWC e-account. Online true-up and payment also qualifies eligible employers for a 1-percent premium rebate, up to a $2,000 maximum. Visit bwc.ohio.gov for more about true-up. 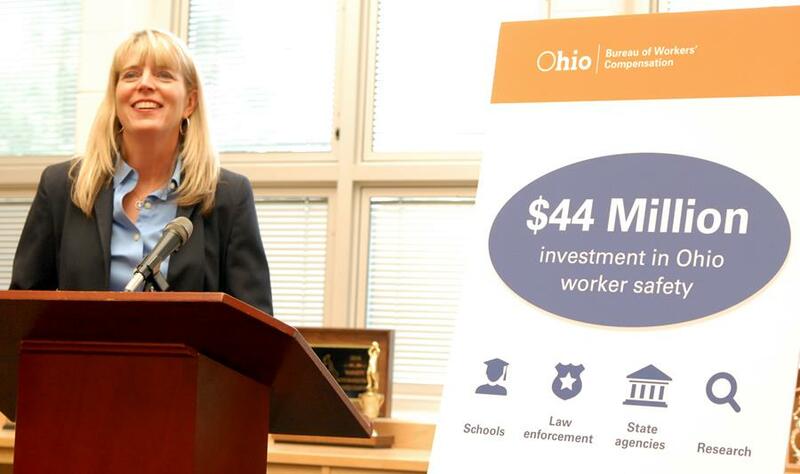 BWC will make a two-year, $44 million investment in safety that includes $8 million for Ohio schools and police departments. BWC will increase its annual Safety Intervention Grant Program from $15 million to $20 million in each of the next two years. As part of that increase, it will set aside $4 million each for Ohio police departments and schools, in addition to $2 million for state agencies. BWC will work with the law enforcement and school communities to determine how the money can be used to meet their needs. The state agency grants will be available to help develop innovative ways to promote safety among the businesses they work with. Morrison also announced $4 million will be dedicated to continuing BWC’s Occupational Safety and Health Research Grant Program that funds research into workplace health and safety. Have you checked out the new Policy Activity Rebate (PAR) program? It may be right for you, especially if you’re a small employer looking to lower your workers’ comp premiums and increase worker health and safety. The new program allows you to earn credits for completing activities designed to improve workplace safety practices and encourage attentive management of your workers’ comp policies. Employers receive a 50 percent premium rebate, up to $2,000. To be eligible for the rebate, you must select from among 33 available activities and earn 11 credits during the policy year that begins July 1. Private employers can now sign up, and public employers can begin signing up Dec. 1. BWC is currently conducting an evaluation of managed care for the State of Ohio using an outside vendor. The purpose of this evaluation is to identify strengths and weaknesses of the current system for providing care for injured workers. Our vendor, DXC Technology, may be reaching out to you soon through email. They will be inviting you to participate in a survey about your experiences with the workers’ compensation system. Groups that DXC will be contacting include: BWC employees, MCO employees, Employers, Trial Attorneys, Labor Unions, Medical Providers, TPA employees, and Rehabilitation Case Managers. Please note that DXC is an affiliated company with HPE and the email you receive may be either from a DXC or HPE email address. Your participation in the survey is highly valued and we appreciate you taking the time to provide feedback. BWC just announced more than $3 million in grants to improve safety in Ohio workplaces and protect firefighters from harm. Read more about these safety programs and grant recipients here and here. The next employer update webinar is scheduled for July 26 at 11:30 a.m. The July webinar will cover policy year 2018 renewal, the new Policy Activity Rebate Program, the updated BWC website, our monthly safety tip and more. Register here to attend the webinar virtually or here to visit your local claims office and view the webinar with BWC staff. We’ll record this webinar and make it available for future viewing at bwc.ohio.gov. Distracted and aggressive driving are the topics of two blogs by Joe Koehl, BWC Loss Prevention Supervisor. 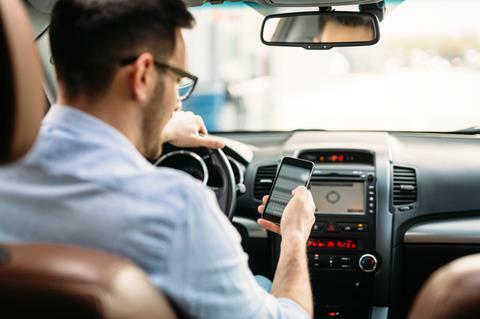 Joe’s got some great tips, and he worked a little humor into his blogs, Aggressive driving – how much time do you really save? and Distracted driving: Do you feel lucky? July’s Safety Update is hot! Catch up on all the latest in occupational health and safety here.